Mimay pointed Apayao on the map. We were discussing our group, TREK or TRails to Empower Kids' 4th outreach. That's the province we all haven't visited, so we decided to consider. Immediately, we scheduled a recon. It was my longest bus ride. Mimay and I were joined by fellow TREK founder Noel, plus Boy Bayhon, one of our most active volunteers. We took the evening bus and woke up just in time to appreciate Ilocos Norte. We caught a glimpse of the windmills of Bangui, the picturesque Patapat Viaduct that connects the Maharlika from Ilocos Norte to the Cagayan Valley Region and the beautiful coastline of Ilocos Norte. The tourism officer of Pudtol, Apayao arranged for transportation from the bus station to Pudtol. We left the bus station immediately after tasting Apayao's variation of pansit, the one with fried egg on top, which was our breakfast. We paid a courtesy call to the mayor of Pudtol, Apayao, Mayor Batara P. Laoat. 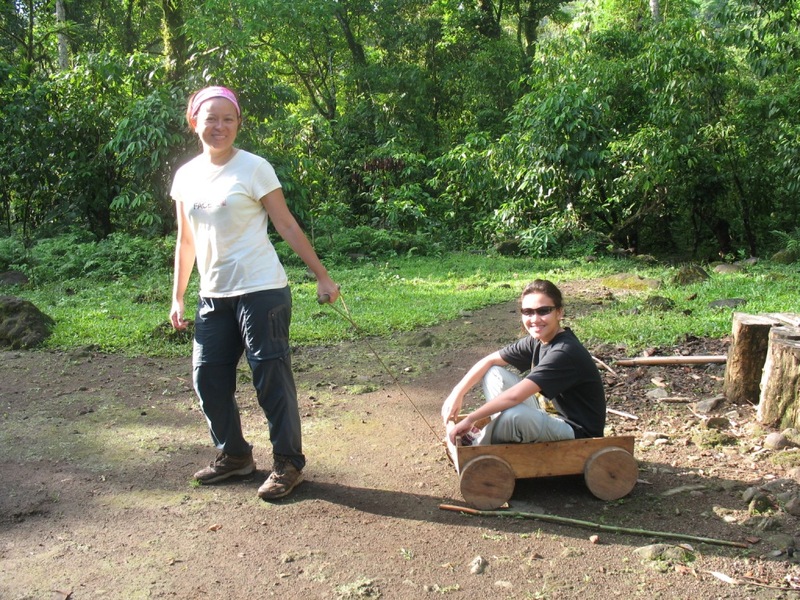 That is when we introduced our group Trails to Empower Kids or TREK. One of the recon strategies we thought of is not being upfront with our motives. We didn't want to disappoint anybody in cases where the site is not approved by the whole group like what happened to one of the possible sites we visited, which is Hapao in Ifugao. Pudtol is a 4th class municipality in the province of Apayao and is divided into 22 barangays, which includes Malibang, Cacallagan, Aurora, and Lydia. Mayor Laoat and his staff already plotted our itinerary, so after freshening up, we left. It was another hour-long trip to the jump off point. Our jump off site is a church ruin built in 1684 by the Dominicans and was abandoned in 1815 due to the Isneg attacks. 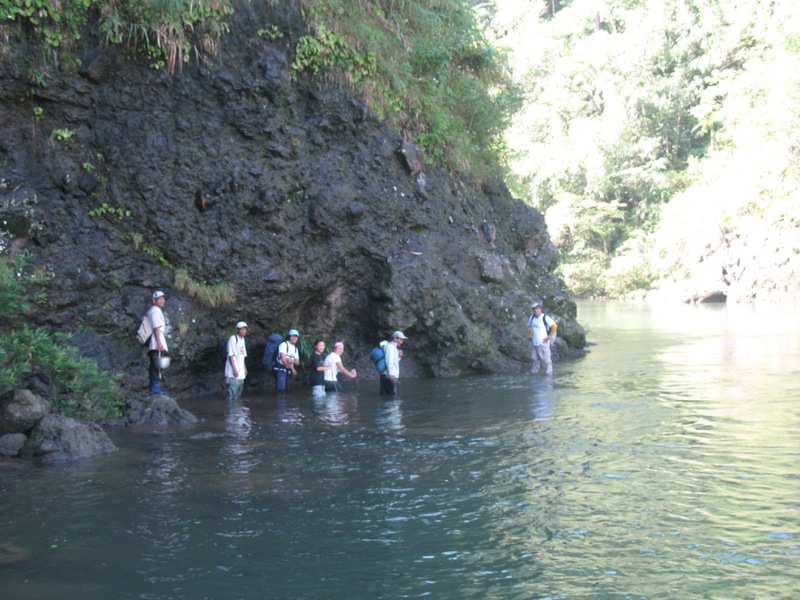 From here, it is only a five-minute walk to the picturesque Apayao River, one of the five biggest rivers in the Philippines, which passes through Cordillera Administrative Region and the Cagayan Valley Region to the Pacific Ocean. 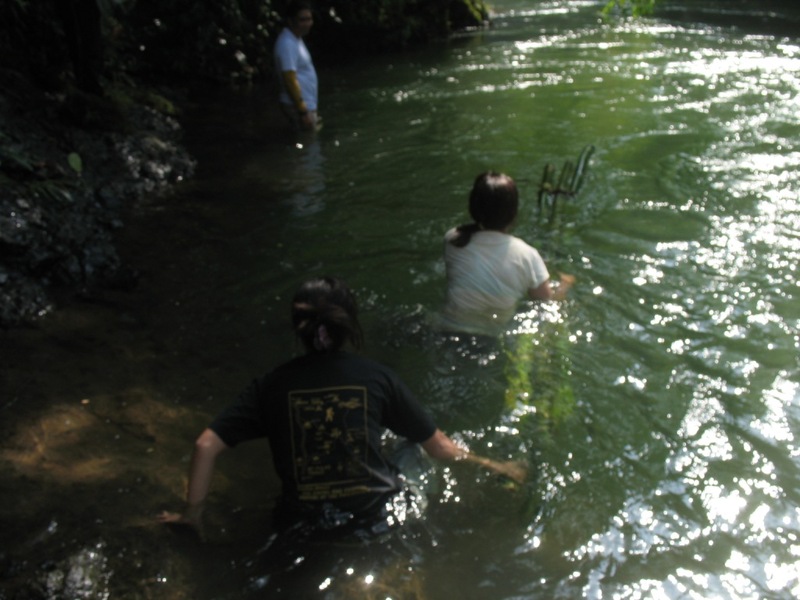 The Isneg or Apayao people are riverbank dwellers. Our ability to balance was tested on these bancas we used to cross the river to Malibang. Here, we saw how the people cope when the river unleashes its fury. Most of the houses have second floors to keep the people from harm when the river overflows. We met some of the locals and we inquired about their schools. Lack of school supplies and books were our expected replies from them, and we guessed right. We visited what looked like oversized chicken cages, which turned out to be one of the school's classrooms. Mayor Laoat and his staff arranged lunch for us. There are so many things I appreciate in organizing these outreach programs; food is one of them. Next on our itinerary were Cacallagan and Aurora, which were 30 minutes to an hour walk from Malibang. The locals discouraged us from pursuing our plan, worrying if we could survive the walk. They looked at another option, which is cruising Abulug River, Apayao River's twin river at the other side of Malibang. The tide was too low. So, we decided to walk. We met this family along the way. They were curious with the strangers on their village and we wanted to have some photos taken with their carabao. Time was not on our side so we decided to go straight to Aurora. We passed by the school of Cacallagan along the way. There was no school in Aurora. The teacher and students, mostly Agtas, used the barangay hall as their classroom. Most of the students reside in the mountains and walk hours to go to school. Their teacher was a passionate Christian who made it is his mission to help these students, which included knocking at different doors to gather school supplies for the students. After our ocular inspections, we went back to Mayor Laoat's place, and he had the most sumptuous dinner waiting for us, all from the bounty of their land and sea. The following day, we went to Mt. Magpulto. Aside from looking for project sites, we also try to look for tourist attractions our participants can visit. We add this to make the experience of joining TREK more fun and memorable. Mt. Magpulto seemed ideal for our mountaineer friends who wanted to scale new summits. Mayor Laoat sent a team to guide us on our trek. We were told that we were the first tourists who attempted to climb Magpulto. We started our ascent early morning. By mid-afternoon, it rained. We were warned about the spirits of the mountains. They said that the mountain does not always welcome new faces. We were saddened but we decided to just stay there for the night and forego of the summit. We may have missed the peak but we got to enjoy freshwater delights and the company of the locals who live there at Mt. Magpulto. We slept in their house. I remember Noel saying that if the group decides to hold the outreach here in Apayao, he would fully support. The need of the community is apparent and second, they are just really kind people. We had two options back to the jump-off point the following day. We could backtrack or river trek on one of the country's cleanest body of water, Nagan River. Our guides checked the river early. It rained that night so if the water didn't settle, meaning if it still looked muddy, we couldn't risk it. Good thing the heavens smiled on us that day so we were able to take another ultimate adventure in what is Apayao is known for -- its rivers. We started early morning river trekking. Some portions were just too good for swimming so we dived. Lunchtime came and we were out of food. We rested in the waterfalls and guides went up to the falls and came back with greens. That was one of the tastiest vegetable dishes ever. We reached the jump-off site after around five hours. We cleaned up and went back to Mayor Laoat's home. The following day was Palm Sunday so we heard mass and thanked God for keeping us safe and helping us find our next TREK site. We took a different route back home. We rode a van to Tuguegarao where we rode the bus back to Manila, bus back to where we will gather our gifts for the students of Malibang Elementary School, Malibang Pre-School, Cacalaggan Primary School, Aurora Primary School, and Lydia Primary School. These words left an imprint on me and the hearts and minds of 35 other good souls who returned with us to Apayao. The travel to our mission sites involved more than 15 hours of land, plus more than an hour on foot, including a short banca ride traversing the Apayao River. The trek was made more difficult by very muddy terrain that went up to mid-thigh high, as attested by one of the participants. These, plus the rains in Manila that almost prevented the group from continuing the mission, didn’t daunt the participants, as the task of spreading goodness almost always come with difficulties. The first school the group visited was Malibang Elementary School. Then, the volunteers walked to Cacalagan Elementary School. I joined the advance party to Aurora, and didn't join the visit to Cacalagan Elementary School anymore. Aurora was where we decided to hold our main program. We loaded all our donations in a banca. It was a totally different river cruising experience. Apayao River's view was vast and wide. This time, the waters were dark green and not much light find its way in the thicket that surrounds the river. The river would easily pass as a location shoot for those creepy movies, but I being that close to nature's embrace, I found really relaxing and serene. When we arrived at the barangay hall in Aurora, some of our school children were already there with their families. Because most of them have to walk for hours to reach the school, they went there early. Students from Aurora Primary are from the Agta and Isneg Tribes, with some coming from former NPA families. We already finished setting up the turnover area and the meal preparations when the participants started arriving, most of them covered with mud. I wanted to tell them so much about the river cruise but held myself after their muddy experience. After they finished pitching their tents and cleaning up, we started with the program. It was already dark when we started. I worried about the children who have to go home that night but I was told that most of them decided to stay there for the night with us. The Barangay hall was big anyway, and most of us also bought our tents. We started with games, then turned over the gifts, and finally served dinner. The short program we prepared for them was followed traditional dances, which lasted until most of us were already so tired from the day's adventure. Some of the participants chose to cap the night by having a few drinks with the locals, while the rest just went inside their tents to get much-needed sleep. The following day, after breakfast, we traveled to Lydia, which is located at the foot of Mt. Magpulto. We reached the site around lunchtime. Mayor Laoat met us there and he led the program, which was also a simple exchange of gifts and games. The community also prepared our lunch. After enjoying the local dishes, Mayor Laoat led members of the community and the rest of the participants in an afternoon of traditional dances. The returns were certainly far greater than the effort. Gratitude overflowed at every school we made donations to. There were endless thank you’s and other displays of appreciation made through their dances and songs. As a bonus, we also had a nice trip at a man-made lake near our site.